Born 1902 in Lehrte, a town near Hannover, Kurt Hirschfeld began his theater career in the rich cultural ferment of Weimar Germany at the Hessian State Theater in Darmstadt in 1929. 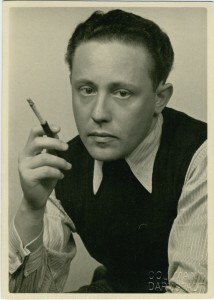 When Jews were excluded from work in state cultural institutions in 1933, Hirschfeld followed the call of Schauspielhaus director Ferdinand Rieser to Zurich, where he quickly built up an ensemble of first-rate actors that had been driven off of German stages because they were Jews or Marxists. Throughout the war years, Hirschfeld and the emigre ensemble performed an ambitious program that included world- and Germanlanguage premieres of works by Bertolt Brecht, Thornton Wilder, Carl Zuckmayer, Federico Garcia Lorca, and T.S. Eliot. During a productive post-war career at the Schauspielhaus, Hirschfeld became an enormously influential figure in Swiss literary life. He introduced Max Frisch and Friedrich Durrenmatt, the two giants of 20th -century Swiss letters, to wide audiences, and he often worked in collaboration with authors on both the development and staging of their work. The conference in Zurich will be the first dedicated to a figure whose legacy outstrips his fame outside Switzerland. 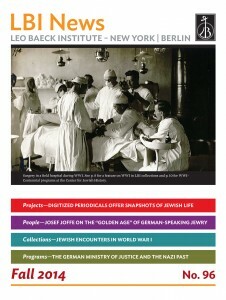 “Kurt Hirschfeld’s programming of a mix of classical and modern, native and foreign plays at the Zurich Schauspielhaus stemmed from his vision of the theater as a site for the circulation of liberal-humanist ideas,” said Wendy Arons, Professor of Dramatic Literature at Carnegie Mellon University. “His approach to season planning served as a model for the postwar German stage, and in retrospect he can be seen as a key player in the revolution in international theater that led to the establishment of the great national repertory companies in postwar Europe and the UK as well as the regional theater movement in the United States,” said Arons, who will present a paper at the conference.